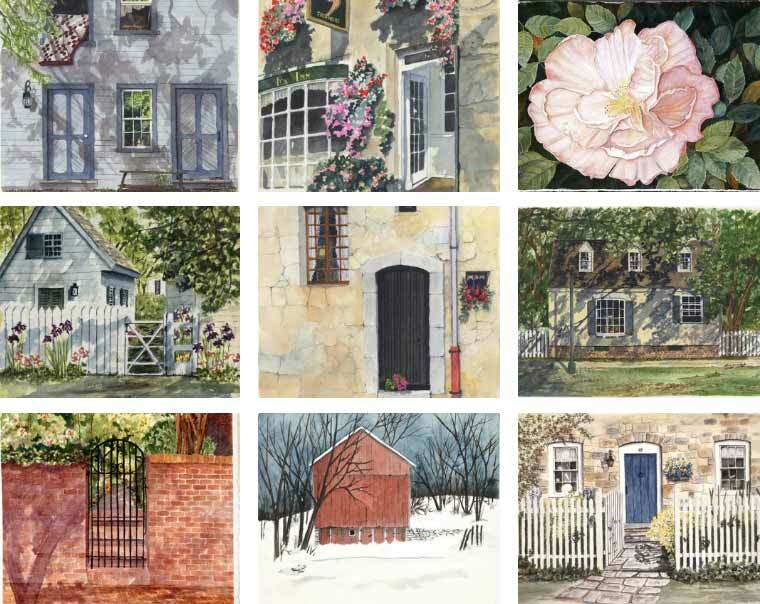 Karen Dyche is a professional watercolor artist with a love for color and fabrics. For the last 30 years, she has concentrated on painting images of historical architecture, using shadows to bring the subject to life. Historical architecture has always fascinated her, with its ancient stone, weathered brick, stucco and beautiful lines. She is drawn to these old structures with their sense of permanency that have withstood the ravages of time. Their beautiful stone and aged plaster walls are crying out to be painted. Her desire is to convey a sense of peace, along with the unhurried lifestyle of past centuries, that invites the viewer into the painting.